It’s the most wonderful time of the year! The winter is upon us and the holiday season is right around the corner. It is time to bust out the Christmas Trees, decorations, menorahs, and whatever else you and your families use to celebrate the holidays. I know our house is ready to go! On top of it, it is officially the most exciting dividend month of the year…December! But before I jump ahead, now that it is a new month, it is time to summarize the results from the previous month. 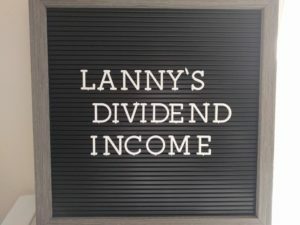 Here is my November Dividend Income summary! Here we go, here we go! It is finally May and you know what that means….PLAYOFF BASKETBALL! But that’s not what I’m excited about today. One of my favorite part of turning the calendar is taking a few moments to see how I performed in the previous month. After all, we are all obsessed with numbers and love charting our progress. So naturally I LOVE putting together my April dividend income summary. Let’s see the results!